The propagation of electromagnetic waves in tunnels differs significantly from the propagation in outdoor environments. 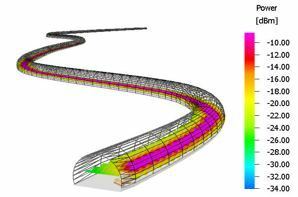 Therefore new approaches to the modeling of the scenario are required to obtain accurate prediction results inside tunnels. WinProp offers the tunnel module to simulate the propagation of electromagnetic waves inside tunnels (and mines). 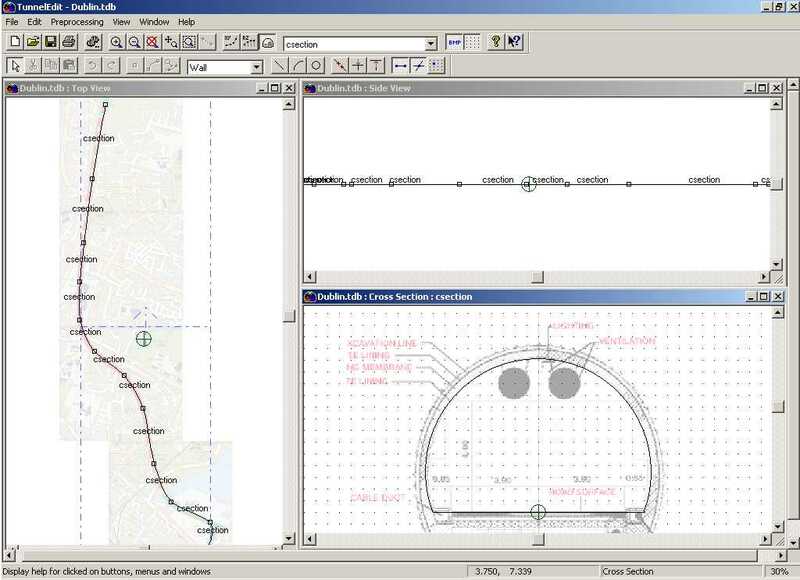 Arbitrary cross sections and curves as well as inhomoogenuous terrain profiles inside tunnels are possible and allow a very realistic description of the scenario. 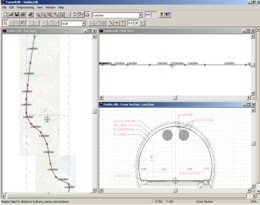 While the dominant application are tunnels, the module can also be used to define any other scenario with (a few) constant cross sections along a polyline. This includes but is not limited to stadiums or concert halls. In combination with the time-variant module non-stationary objects can be modeled in tunnel scenarios. The effect of time-variant antennas (on top of a car, train, etc.) 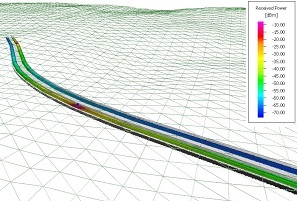 inside a tunnel and the interaction of the propagation paths with further non-stationary obstacles (cars, trains,...) can be simulated and visualized. Due to multiple reflections and waveguiding effects inside tunnels, the multipath propagation in tunnels is even more important than in typical indoor scenarios. Simple empirical propagation models are therefore not sufficient to obtain accurate results. 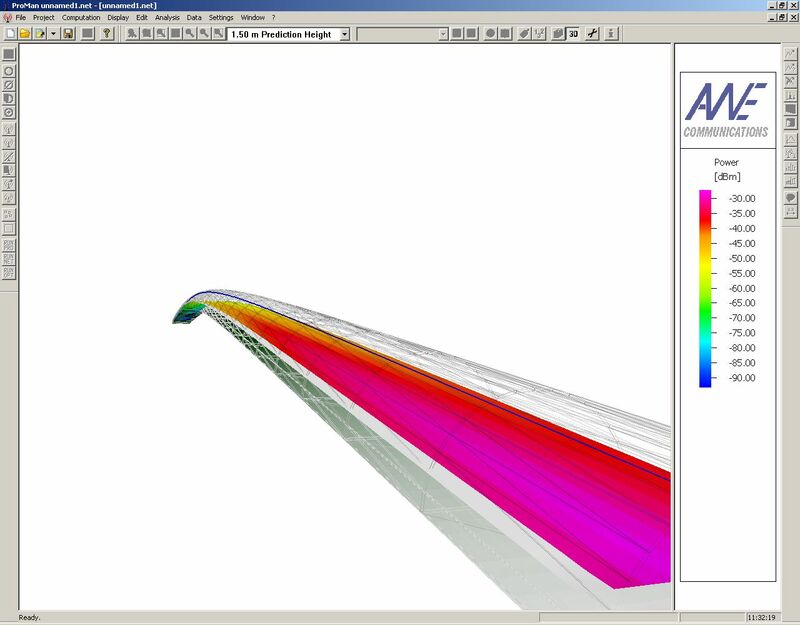 The propagation models for tunnel scenarios must consider phenomena like reflection, diffraction and shadowing in multi-path propagation to obtain accurate propagation results. 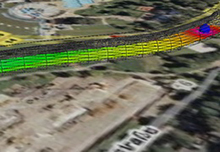 WinProp's highly accurate semi-empirical and ray-optical indoor propagation models have been adapted to be used in tunnel environments for cellular network planning as well as for LOS analysis. Of course single antennas with their specific antenna patterns can be used as well as radiating cables (leaky feeder cables). Sport stadiums or arenas as well as concert halls can very often be described with a cross section along a (closed) polygon or trajectory. 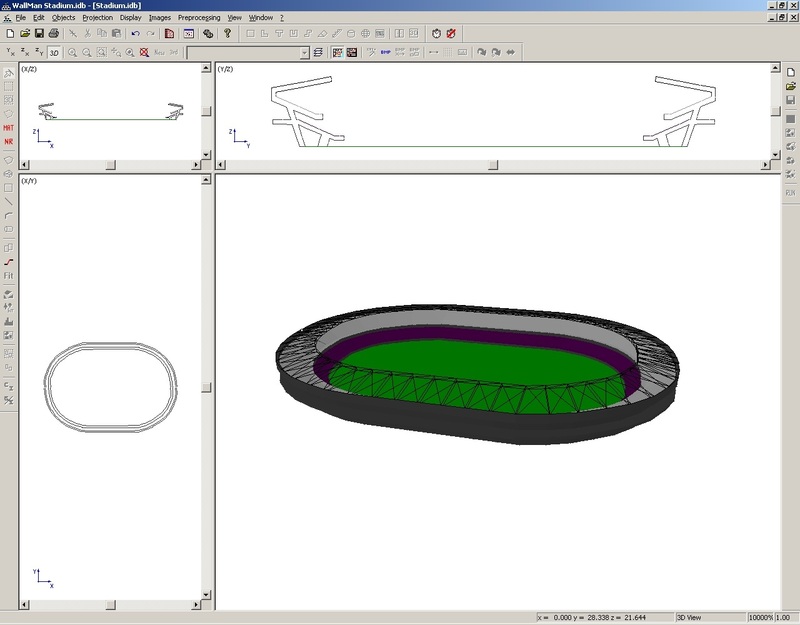 So the basic geometrical principles of tunnel databases and databases of stadiums are very similar. 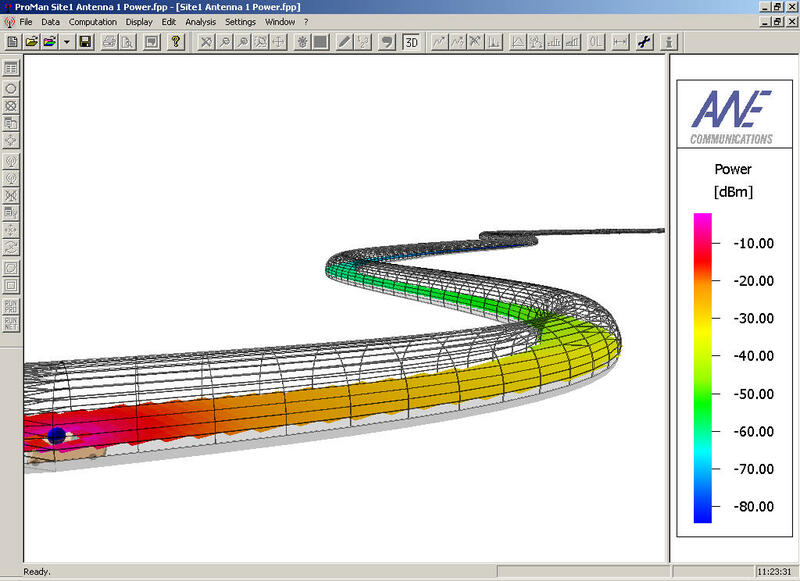 The tunnel module can therefore be used for the simulation of the wave propagation in stadiums, arenas, etc. Non-stationary obstacles (e.g. cars, trains,...)or moving antennas inside tunnels have a significant impact on the propagation scenario and on the wave guiding effects. WinProp's time-variant module can consider such time-variant effects even in tunnels. 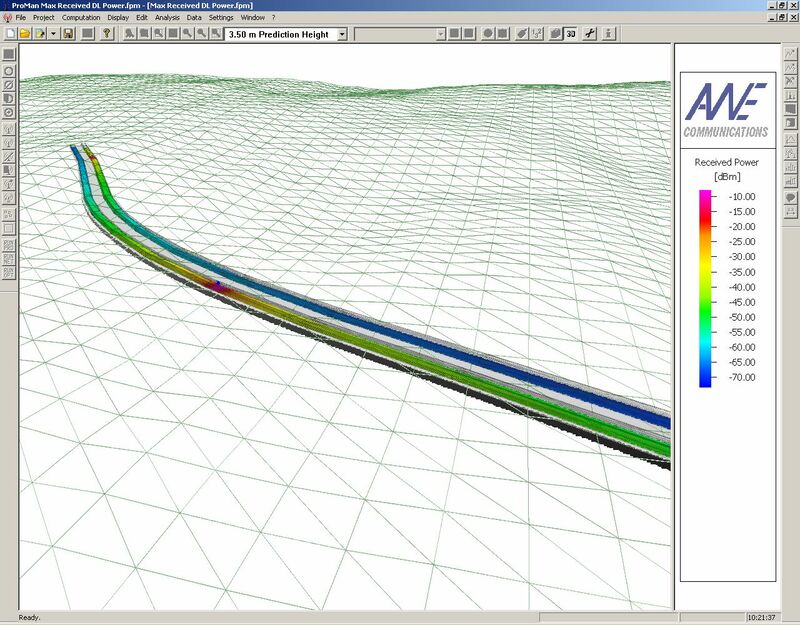 The tunnel module can also be used for the simulation of the wave propagation in mines (with multiple intersections, different cross-sections,and inhomogenuous terrain profiles along the different adits). Leaky feeder cables are very often used for the coverage inside tunnels. The tunnel and indoor modules support single antenna transmitters as well as leaky feeder cables. 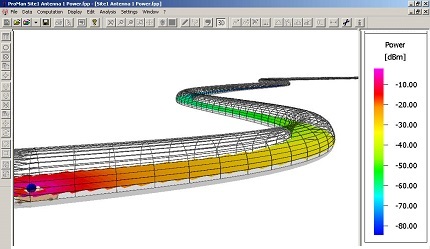 TuMan allows the definition of curved tunnels with arbitrary cross sections and terrain profiles in a very fast and efficient way. 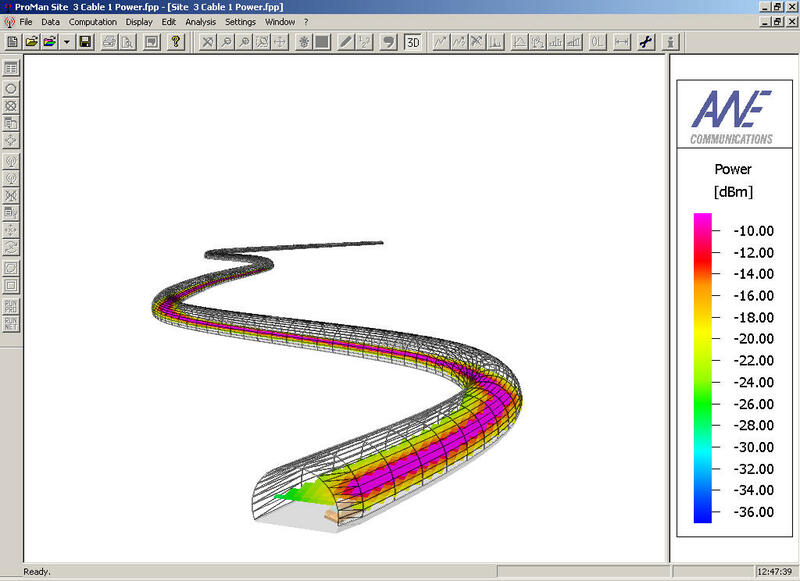 TuMan can save tunnel databases inWinProp's 3D vector object database format for further processing with WallMan (e.g. insertion of cars, trains and definition of their material properties and their time-variant behavior). 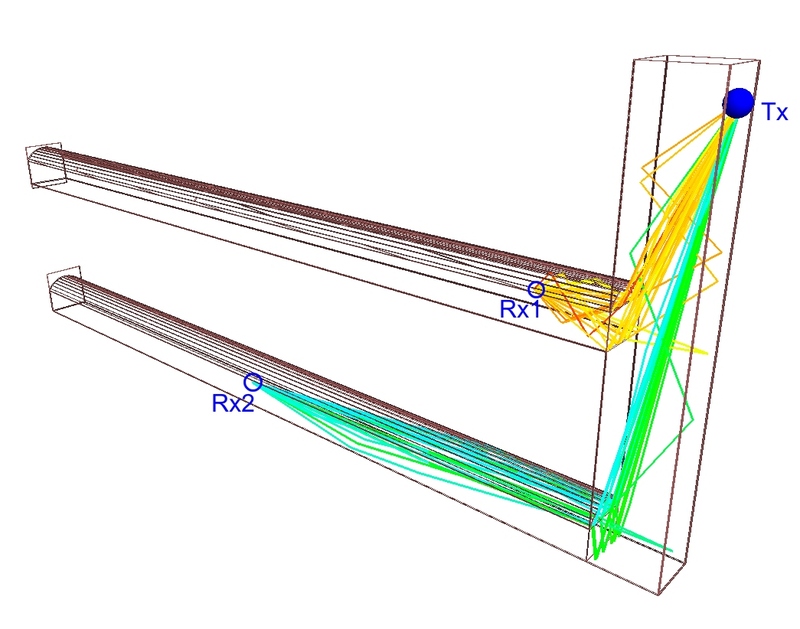 Empirical indoor propagation models (based on direct ray) should not be used in tunnels.